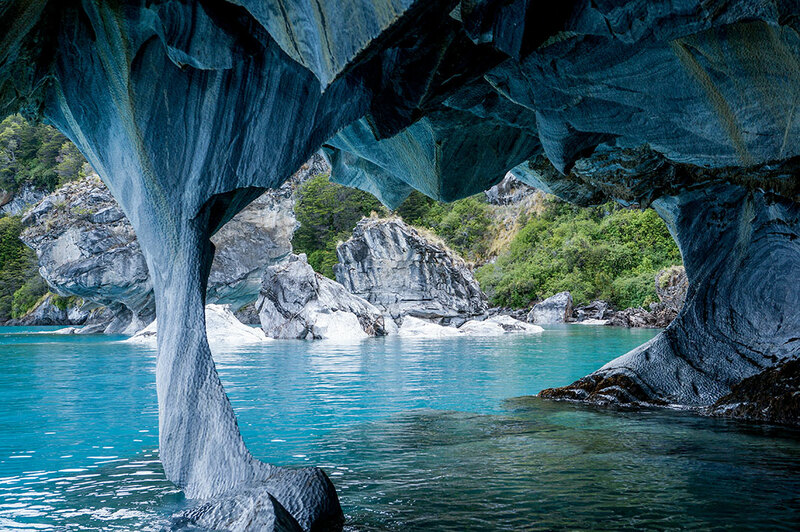 Man never gets tired of admiring the beauty of the Earth and its many landscapes. 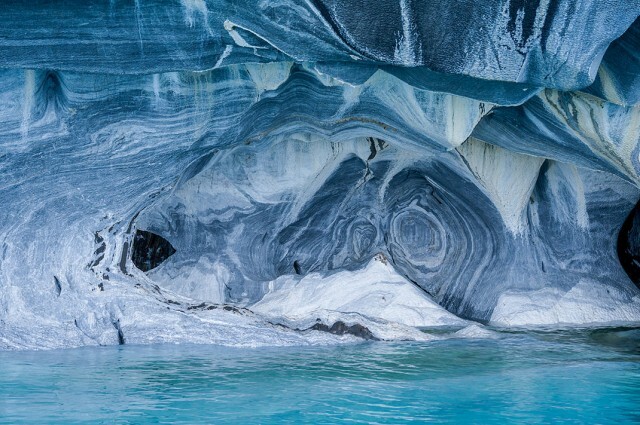 It is difficult to count the number of natural wonders present in the world. 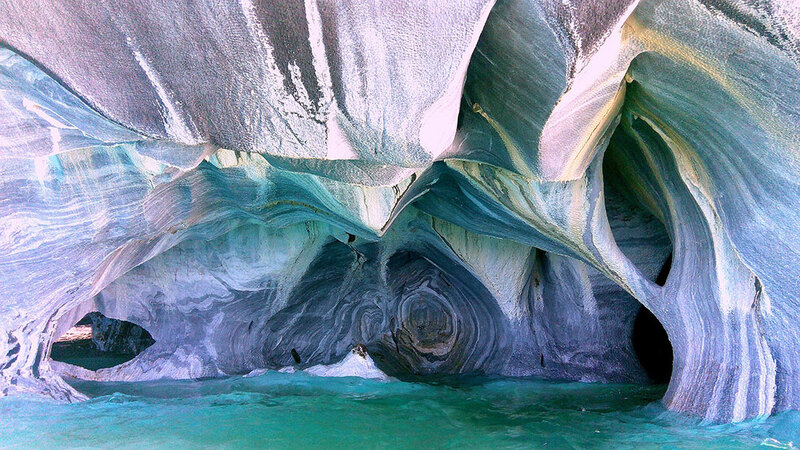 Chile is home to incredible marble cathedral, this formation is carved by erosion of part of Lake General Carrera (or Lake Buenos Aires) between Chile and Argentina. We present to you this extraordinary place. It is located on the border between Argentina and Chile in the Lake General Carrera (or Lake Buenos Aires). 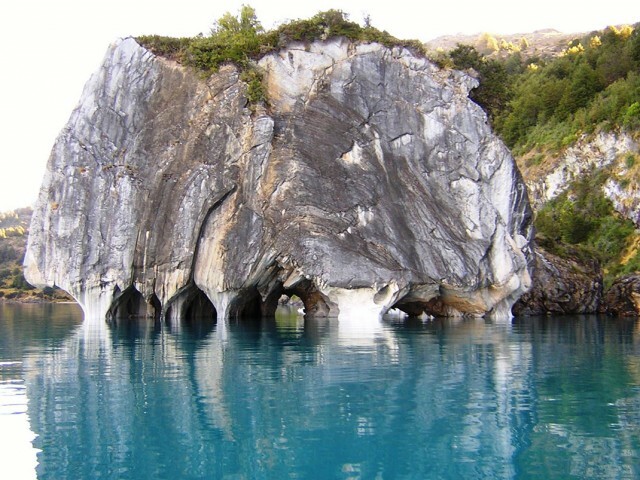 This large lake has an area of ​​850 km2. Its altitude rises to 202 meters and its depth reaches up to 590 meters. 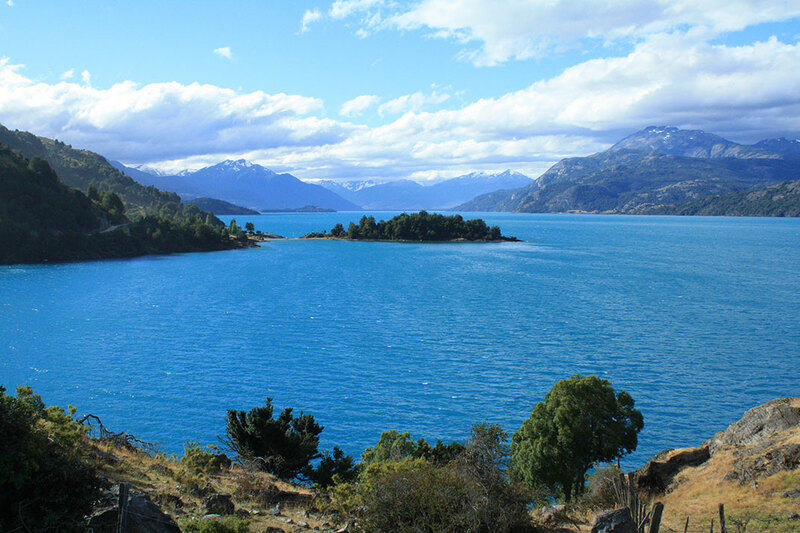 This lake is the largest of Chile and the fourth largest in Argentina. In fact, it the is the second largest lake in South America, after Lake Titicaca in Peru. The lake is famous for two things: it is a place popular with fishermen (the waters are rich in fish) and it houses the marble cathedral, a beautiful geological formation. 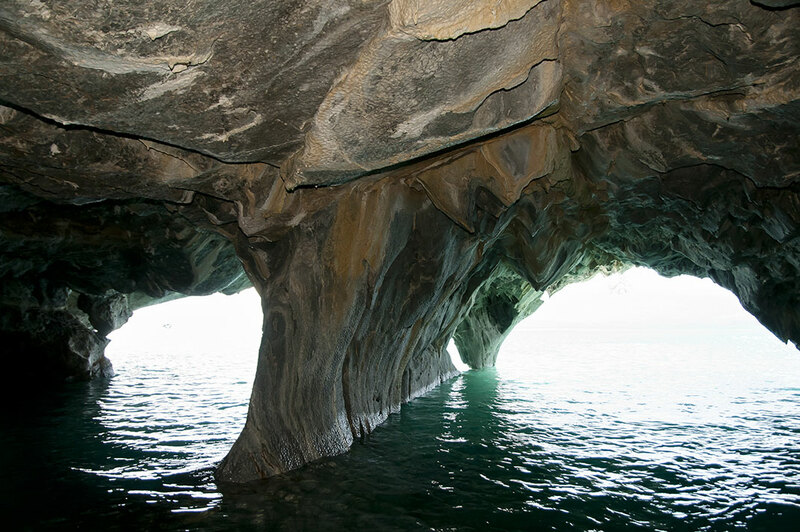 This cave carved in marble dates from the Paleozoic times and attracts many visitors. It is fascinating to roam in multiple caves carved by the surrounding lake. 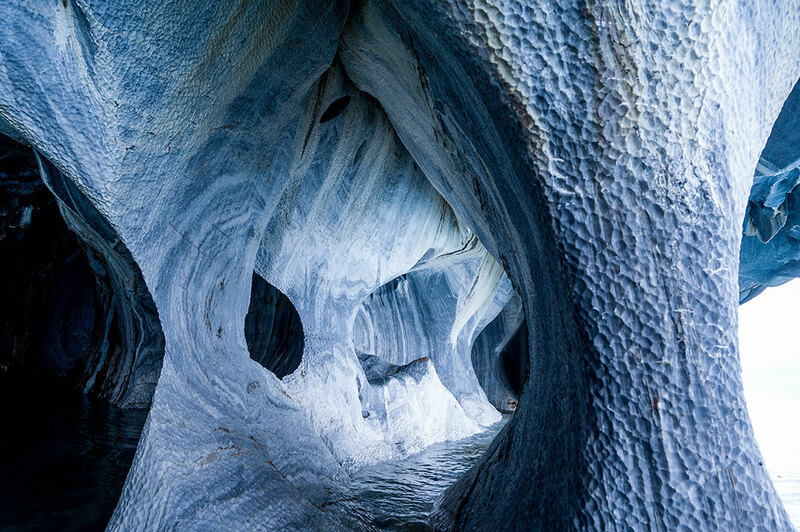 The light rushes into and is reflected through water. 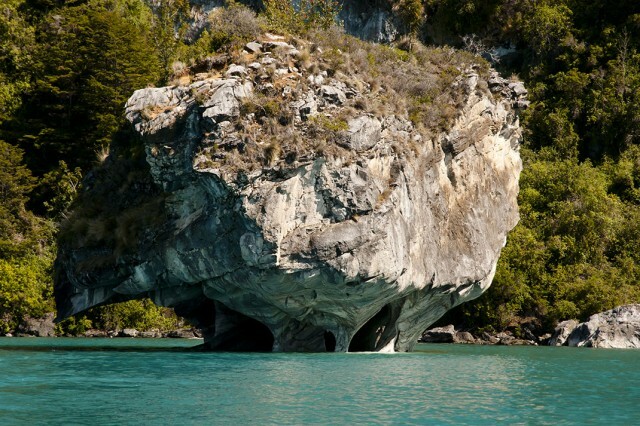 The caves called “Marmol Catedral”, “Capilla de Marmol” or “Caverna de Marmol” can be visited on small boats. It is quite fascinating to see that this natural formation resemble the chiseled shape that men have been able to build. 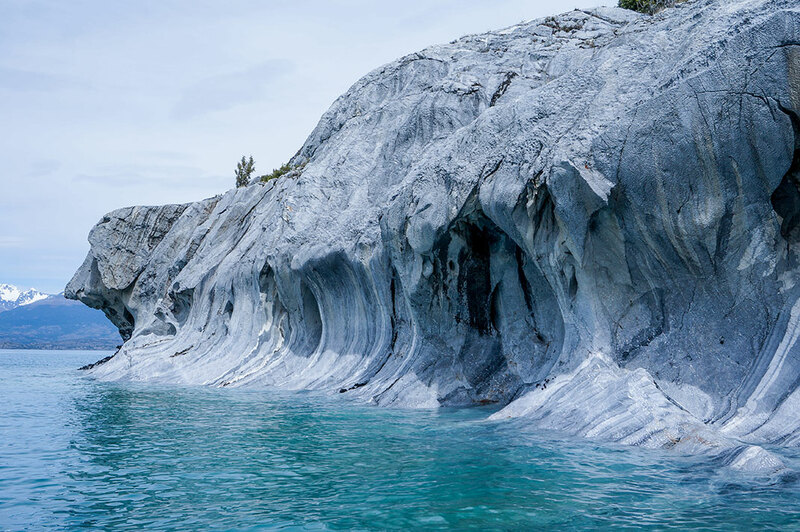 These marble columns are similar to those used to build religious buildings. 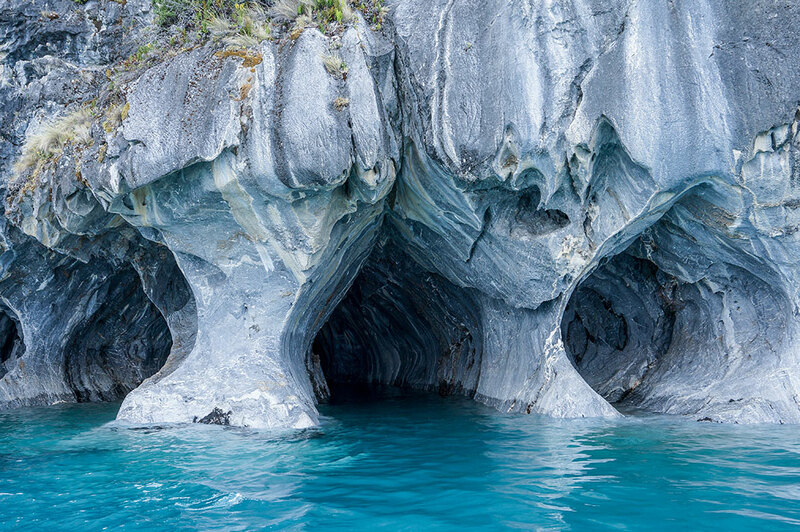 The tour of the lake and the famous marble cathedral is really intriguing. 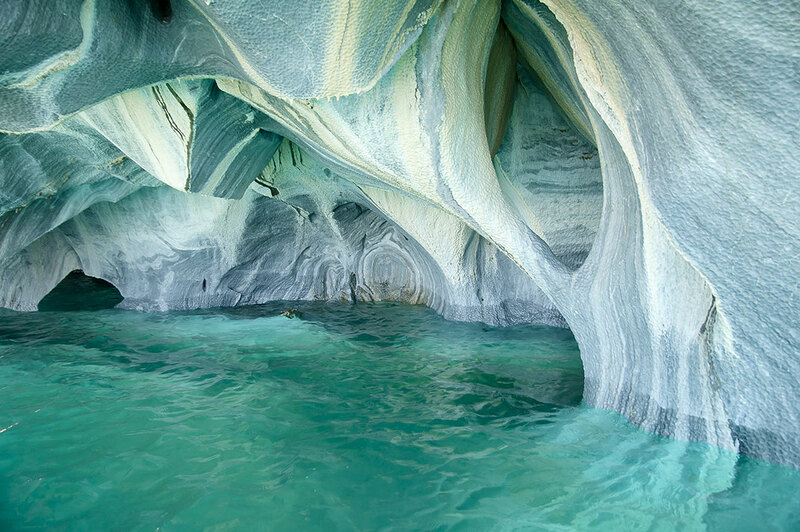 The spectacle offered by these multiple caves letting in light and surrounded by turquoise water is a constant delight. Tourists are not wrong as they flock in small boats to visit this site as majestic as a sacred chapel.